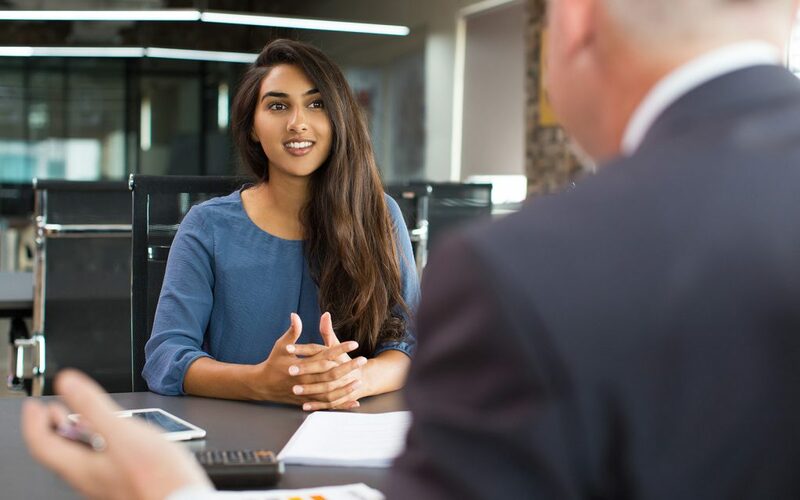 Interviews are not just about answering questions; they’re also your chance to find out more about the company to determine whether it’s the right fit for you. 1. Who would you say is your biggest competitor? Asking this will help you get more insight into the business and how it compares to others in the same sector. It’s a good idea to find out who the company’s main competitors are before the interview, so you are well prepared. This allow you to get a better idea of what will be expected of you as the job evolves and the company grows – and how your skillset may need to adapt. The interviewer may also mention that the job will include ongoing training and support. If this isn’t mentioned, find out what type of training and support will be available and whether you’ll need to pay for it. 3. Have I answered all your questions? Asking this will ensure you’ve covered all your bases – which could boost your chances of making it to the next round or getting the job. If the interviewer says ‘yes, I think you’ve covered everything’, this strongly suggests you’ve done well. However, if the response is ‘could you tell me more about….’, think of this as an opportunity to improve your answers. Has the interviewer mentioned something that wasn’t in the job specification? Is there a listed responsibility that you’re not sure about? Then don’t be afraid to ask for clarification – this shows you have good attention to detail. For example, if the job specification mentioned ‘some travelling required’, find out how much this would be (distance, frequency) if the interviewer hasn’t covered this already. Job specifications can sometimes contain mistakes, too, so remember to read yours thoroughly before the interview. 5. Is there anything else you need from me? Again, this shows that you’ve given the interviewer all the information they need. While this may sound very similar to question 3, it’s a good way to end the interview with a good final impression. Bear in mind that your interviewer may have touched on some of these questions during the interview. Therefore it’s important to take notes so you don’t accidentally ask something that’s already been covered specifically. However, as stated, ask your interviewer to elaborate on anything that you’re not sure of or would like a bit more information on. Looking to make a new application? Whether you’re a new jobseeker or looking for your next big opportunity, don’t forget to register on our database. This will enable you to access all the latest job openings with the best employers around. Previous post 5 indicators of a great employer Next post Were your A-Level results not as good as you’d hoped? Don’t fear – here are five reasons to keep your chin up.